Using 4 AGM batteries and our easy to use Comfort Monitor programmable software, the ComfortPro Electric unit delivers up to 12 hours of runtime. Up to 10,000 BTU’s of cooling with thermostat and digital controls creates a consistant temperature that will make you feel like you’re at home. With an optional fuel fired heater that produces up to 7,000 BTU’s of heat, you will have a full climate control solution to keep you resting comfortably wherever the road takes you. Eliminates your exposure to fluctuating fuel costs. Increases your mpg while reducing the idle time of the truck. Reduces the risk of premature failure of costly truck engine components caused by idling. Minimizes the risk of costly fines associated with anti-idling regulations. Manual Operation: Manual control of the HVAC to provide a comfortable temperature in the truck bunk. 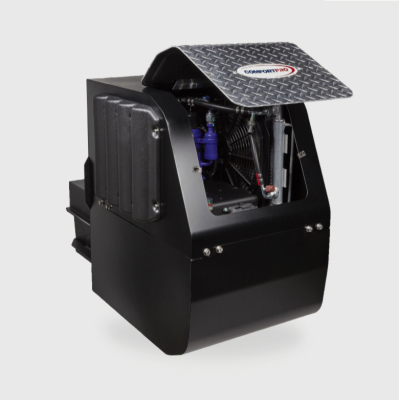 Comfort Monitor: You can program the ComfortPro to automatically turn on the APU and HVAC as required in order to maintain a comfortable temperature in the truck bunk. Timer: You can program the ComfortPro to automatically turn on the HVAC at specific times and days of the week and for a specific length of time. For example, every day at 6:00 p.m. for 1 hour. There are two timers. 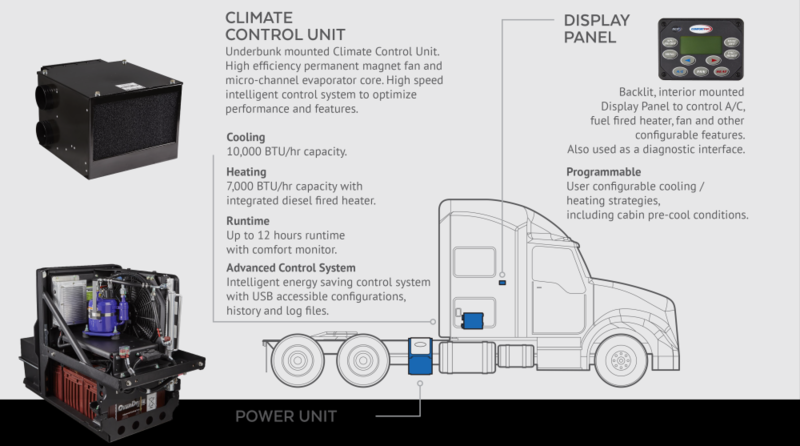 Temp Start: You can program the ComfortPro to automatically turn on the APU and HVAC periodically whenever the temperature goes below a specified value, in order to prevent the APU engine and truck engine from getting so cold that they will not start. Battery Monitor: You can program the ComfortPro to detect when the truck batteries are running low and automatically turn on the APU in order to recharge the batteries. Maximum Run Time: You can set the maximum time that the APU is allowed to run continuously. A password can be set up to restrict the ability to set up or change the operation of any or all automatic functions. Contact ELW Company for more information!